Wedding and Debs season is very much upon us and finding that perfect hairstyle to suit you is just as important as having your makeup done. Below are my 5 favourite hairstyles that are most requested at the moment. You can see them all in the gallery above too. Just use the arrows at the top right you each picture to scroll through. The most popular style so far, this year for me is the soft half up-do. This style is perfect for ladies who want to leave their hair down but also like some of it clipped back from their face. It’s elegant, yet pretty and just perfect for both a wedding or debs occasion. The textured up-do is ideal for ladies who want to show off the detail in their dress at the back. The key to this style is to have it textured and soft especially around the face, as gone are the days when an up-style gave you a face lift. The braids are back! Braids have made a huge comeback in the last few years. 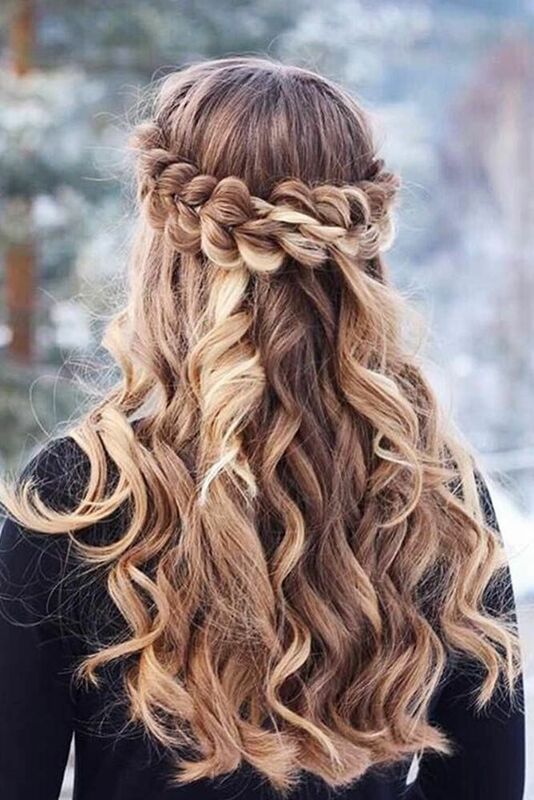 From the halo braid, the waterfall braid, the fishtail and my new favourite, the mermaid braid. Braids are ideal for brides or bridesmaids as it’s easy to pop in a few flowers to brighten the hair up. The faithful old ponytail has also made a comeback; however, it has evolved into a stunning style, complete with volume and texture at the crown transforming long hair into a sophisticated ponytail. The Hollywood wave is a timeless classic. It’s ideal for ladies who want to leave their hair down, yet want to look and feel that extra special.